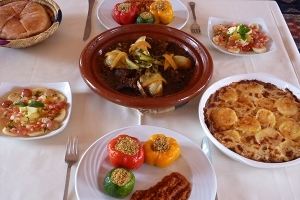 Our restaurant offers Moroccan and Mediterranean specialities using fresh local seasonal produce. 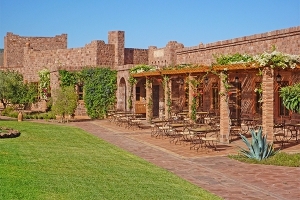 For much of the year, guests can dine outside with stunning views of the summits of the mountains. 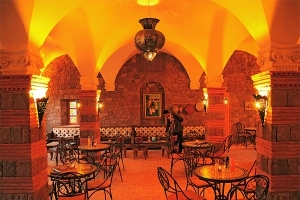 Kasbah Angour is licenced and offers a good selection of local beers, fine Moroccan wines & spirits.